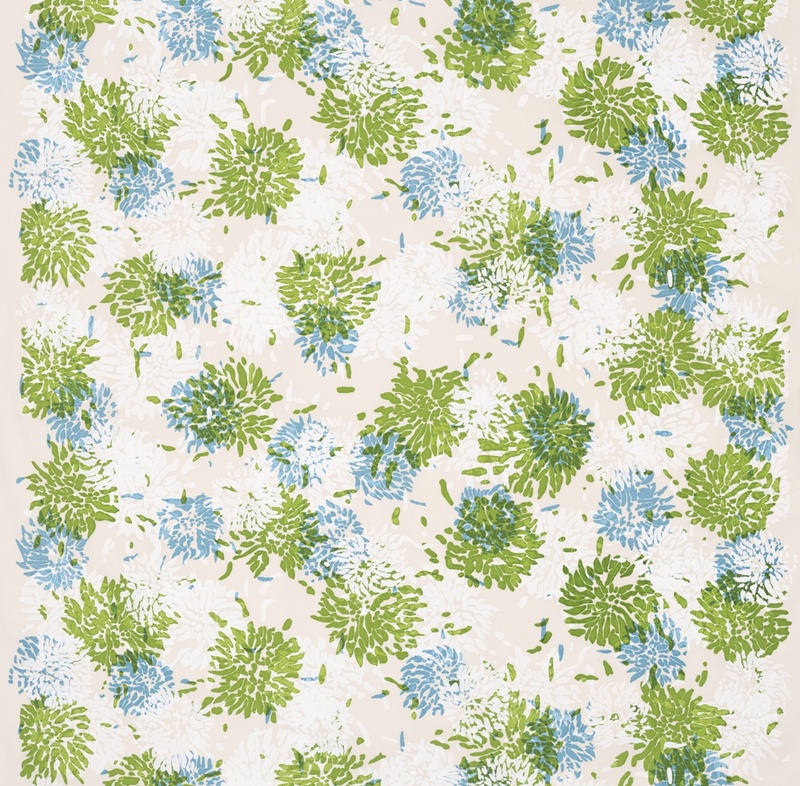 Chrysanthemum could be considered the signature print of House of T Fabrics. It was one of the studio’s best-selling designs for over forty years. House of T was founded on New York’s Upper East Side by the husband-and-wife design team of Leslie and D.D. Tillett. From their combined living and working space on East 80th Street, the couple created luxury hand-printed fabrics which became popular with interior designers like Albert Hadley and Sister Parish. In 1960, First Lady Jacqueline Kennedy hired Parish to redecorate the family’s living quarters in The White House and Tillett fabrics were selected for the bedrooms. Mrs. Kennedy became a regular client and a close friend. She wore summer dresses made from Tillett fabrics, commissioned the Tilletts to design and print tablecloths for her daughter Caroline’s wedding, and chose D.D.’s Chrysanthemum design for the family’s summer home in Hyannis Port, Massachusetts.